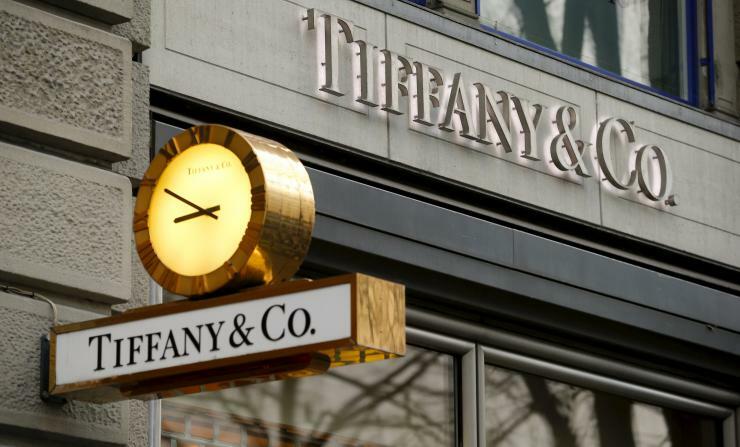 Tiffany & Co posted a profit for the third quarter that disappointed and cut its forecast for the year as the strong U.S. dollar and the choppy economic conditions weighed on luxury jewelry sales. Profit reached 70 cents per share, excluding special items, said the company based in New York in a prepared statement on Tuesday. Analysts were expecting profit of 75 cents. Per share earnings will drop 5% to 10% in 2015, which is more than forecasted earlier for a drop of no more that 5% said the statement. These results underline the challenge that retailers are having with the strong U.S. dollar, which curtails the spending by tourists that visit the U.S. and it reduces revenue values for revenue that is generated abroad. Frederic Cumenal the CEO said that unsettled economies had also restrained the appetites of shoppers for its luxury items. Uncertain, volatile market and economic conditions across the U.S. as well as other regions are affecting the spending of consumers causing the company to maintain a near-term outlook that is cautious. Revenue for the third quarter was down 2.2% to just over $938.2 million that trailed analyst estimates of $971.2 million. Net income for the quarter was more than double ending at $91 million equal to 70 cents per share from the same period last year of $38.2 million equal to 29 cents per share. Shares fell by 3.7% in early Tuesday trading. Tiffany stock has slid by over 28% in 2015 through the end of business on Monday. Even following the accounting for a strong dollar, sales at Tiffany still were below estimates in the majority of its different operating regions. Comparable sales were up 6% in its European sales and 2% across Asia-Pacific. Analysts were estimating gains of 8.5% for Europe and 6% in Asia. Japan was the sole operating unit topping estimates where its comparable sales gained 24% compared to the projects gain of 11.7%.